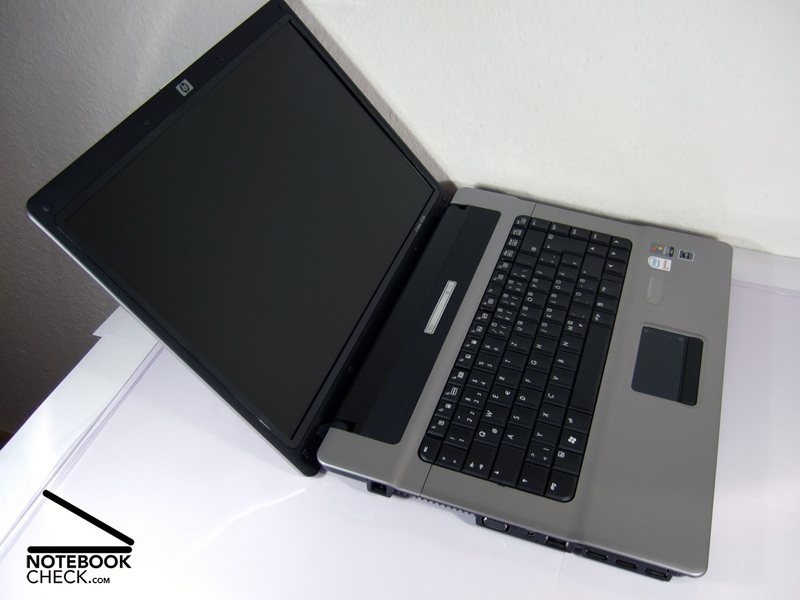 The HP Compaq 6720s offers a good base for daily work at the office or at home for little money. Due to modern dual-core technology made by Intel, it is also able to complete extensive tasks quickly. 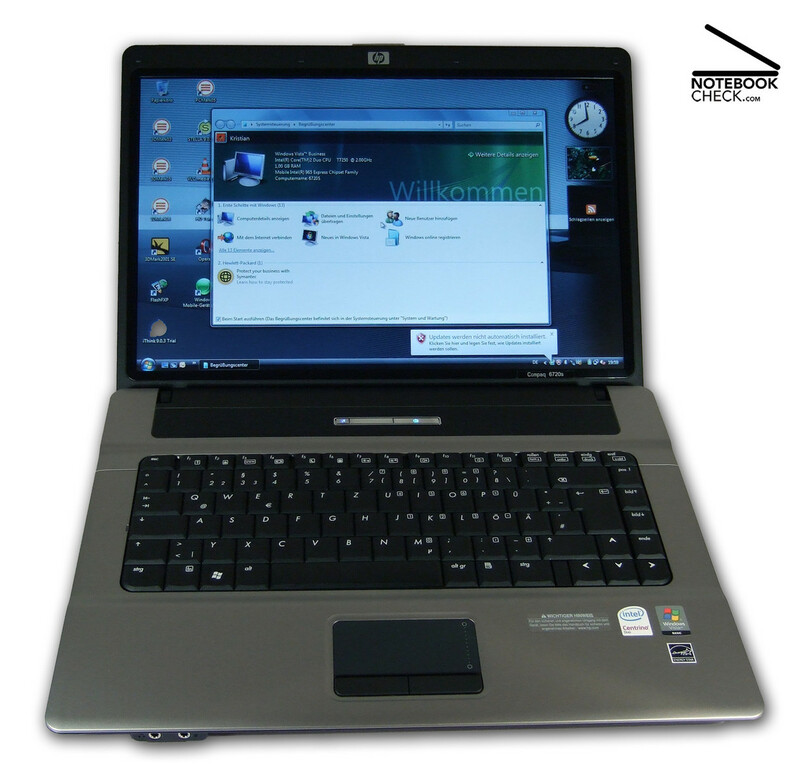 The HP 6720s presents itself with a surprisingly modern design, especially considering the usually conservative style of Compaq business notebooks. Whereas it's big and little brothers show spartan and clunky design, the 6720s offers elegant shapes and a slim case. Especially the indentation in the case around the keyboard almost resembles VAIO notebooks from far east - but only on a small scale. Various other such details, like the charge status LED directly on the power connection on the left side of the case, help to modernise the look of the notebook line. Despite the redesigned case, the HP Compaq 6720s stays loyal to it's roots . Ease of use and functionality continue to dominate over appearance. The working space is properly arranged and tidy. All keys and buttons are clearly marked and located where one expects them to be. Neither input devices nor interfaces are hard to understand. The surface feel of the silver plastic case reminds a lot of the low cost 3000er product line made by the Chinese competitor Lenovo. While this is certainly not too bad, it doesen't really boost the haptics rating of the 6720s. 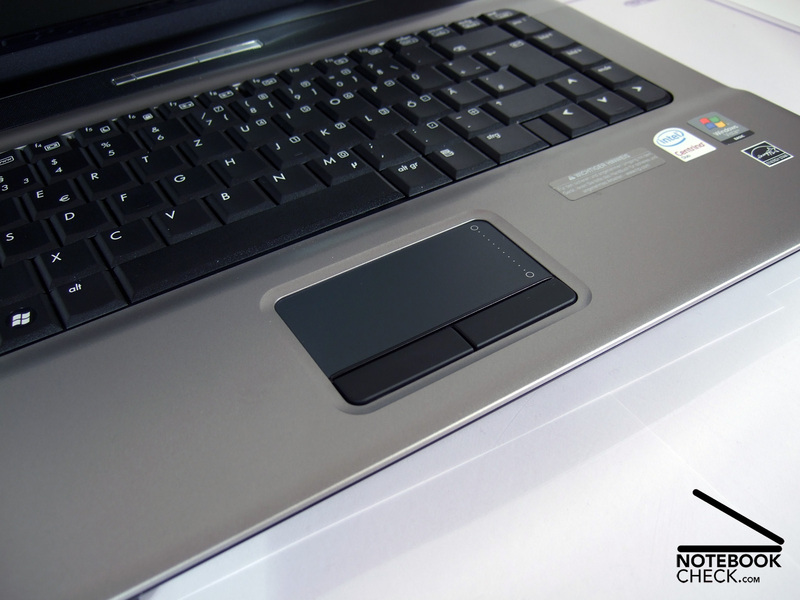 The silver surface is very sensitive to scratches, but shows good resistance to dust and finger prints. Although the case bends through around the WLAN hot key and the keyboard if pressure is applied, and some other small flaws become apparent at a second glance, workmanship and stability of the case are sufficient for this price class. The lid of the HP Compaq gets an average stability rating. Even light pressure on the outer side is sufficient to bend the surface through. Stronger pressure disturbs the image, which is usual for this class. 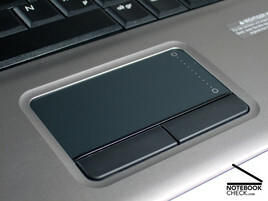 The hinges on the other hand do their job and keep the LCD always safely in the chosen position. They also don't need any additional hook to keep the lid shut. The interface equipment of the HP Compaq 6720s is below average. Interfaces for modem, LAN, WLAN and Bluetooth are provided to communicate with the rest of the world. External devices can be plugged into the three USB ports. 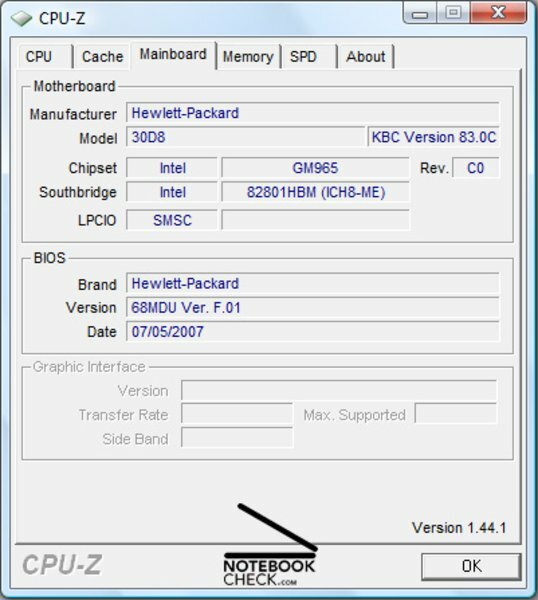 Unfortunately, HP put them not only directly next to each other, but also below the ExpressCard slot on the left side of the notebook. 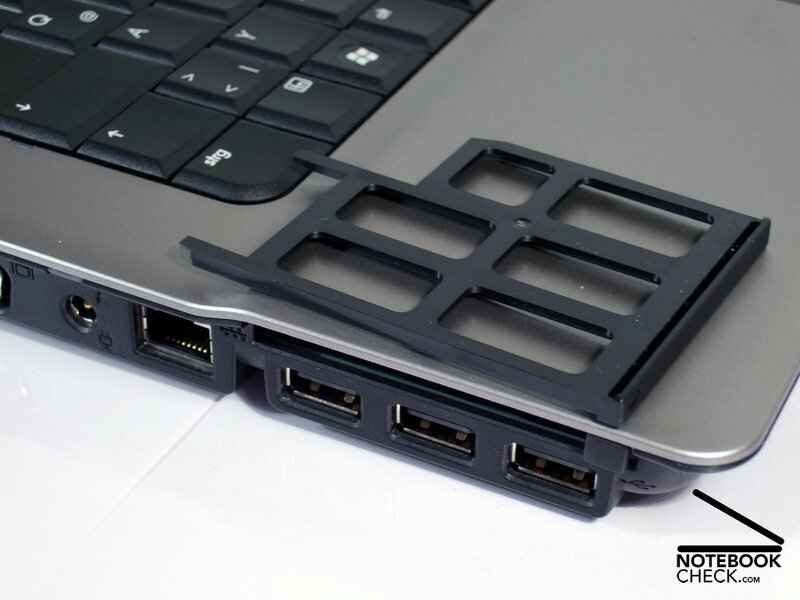 A large expansion card or a big USB stick can easily block most of the available ports - very inconvenient. 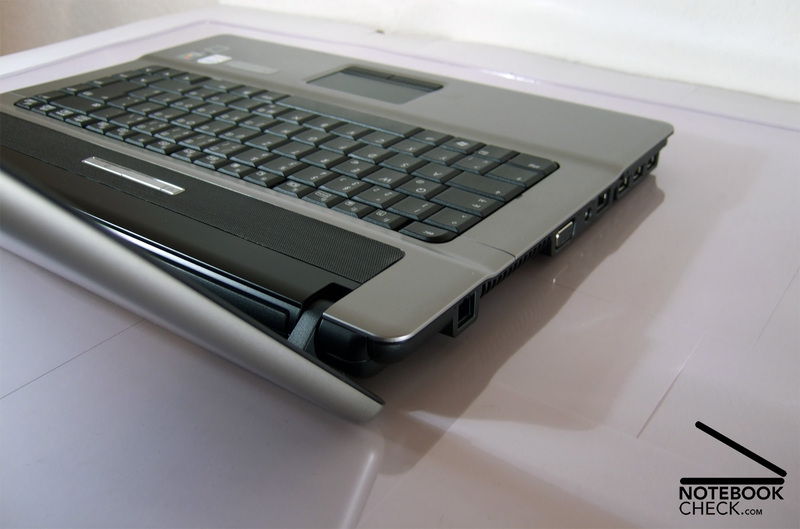 The HP Compaq 6720s also offers a memory card reader for MMC and SD cards and, as usual for this class, only a VGA connection to send analog video to external displays. 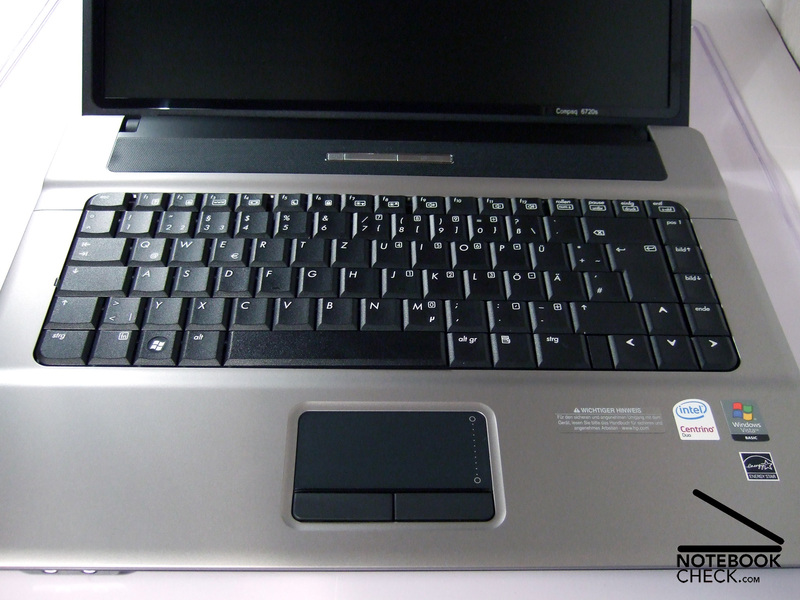 Primary input device of the HP Compaq 6720s is a black keyboard in matte-finish and with 87 single keys. 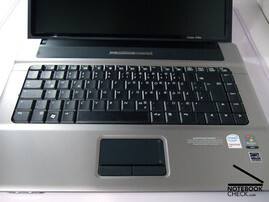 Like with the keyboard of the already reviewed HP Compaq 6715s, the keys appear slightly cheap. However, typing is surprisingly pleasant and even longer text is no problem. Even keyboards of more expensive notebooks can't always offer such typing comfort. The layout is self explanatory, stroke depth is clear, and even hectic typing doesen't bend the key area - very good. The touch pad is sufficiently large for daily work and allows, after some modifications of the driver, very precise movement of the mouse arrow. With default settings it's much harder to get proper control on the slippery surface. Navigating long documents and websites is easy due to the scroll panel on the right side. Both touch pad buttons are relatively quiet when pressed. 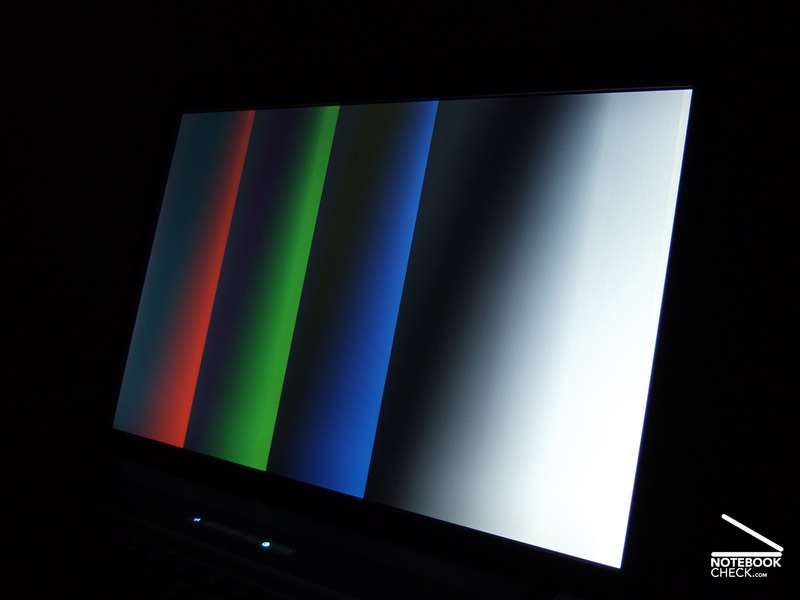 Our HP Compaq 6720s test sample came with a non reflecting matt display in 15.4" format . Even in very bright environments it stays clear of annoying reflections, but the display's colour quality can't keep up with it's glossy competitors. 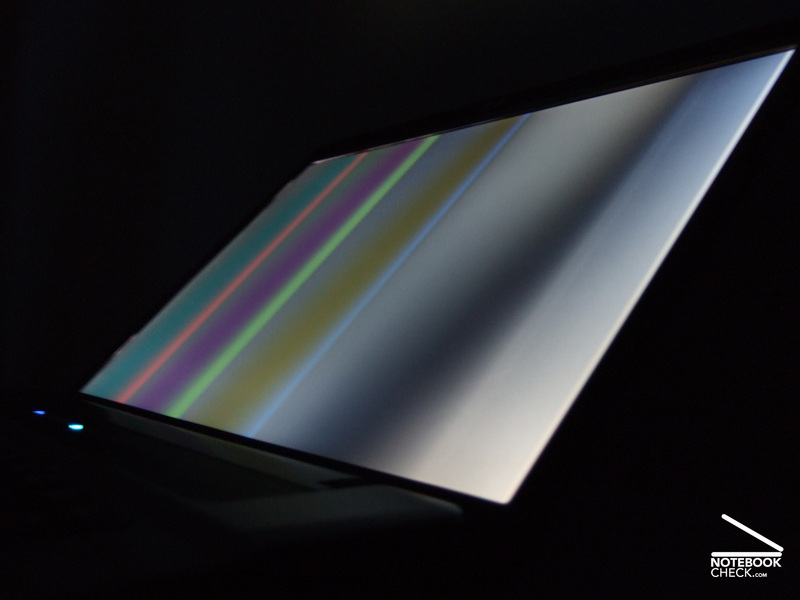 Alternatively, the display is also available in some configurations with glossy BrightView screen. 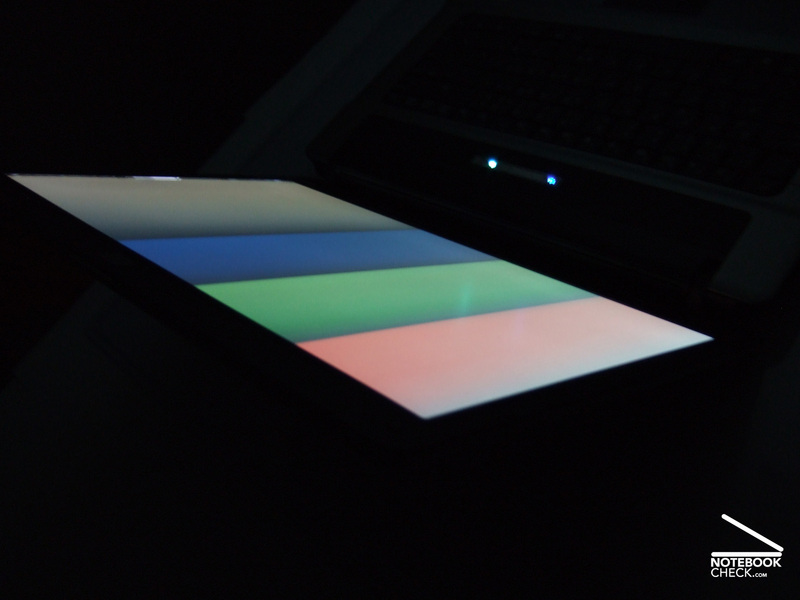 The Samsung display of our test sample manages the tests pretty well. 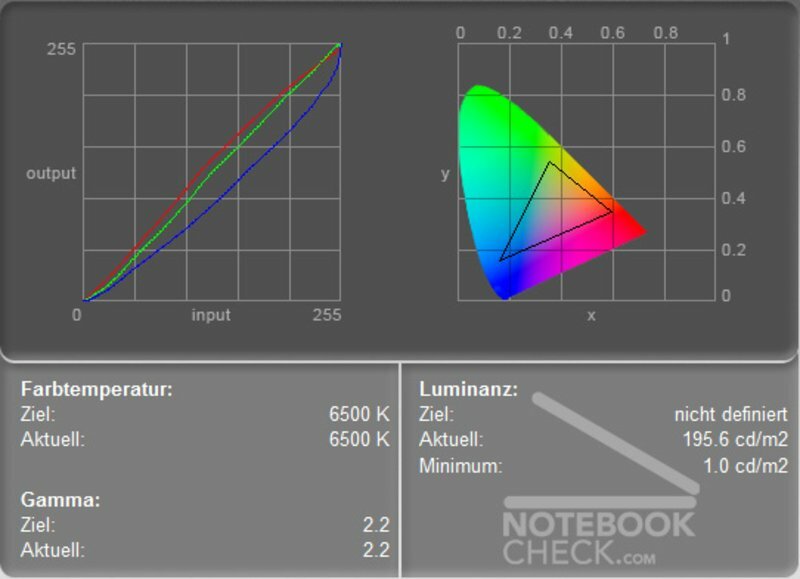 Although contrast and colours are only average at best, the subjectively even distributed illumination and sufficient brightness with 149.2cd/m2 on average are pleasant and allow working outdoors in sunny weather. 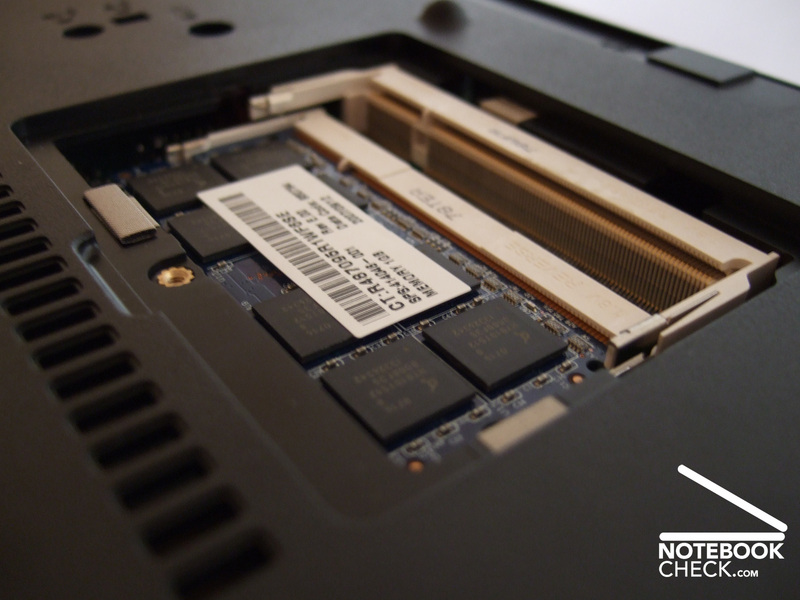 Hidden under the hood of the HP Compaq 6720s is a processor made by Intel. 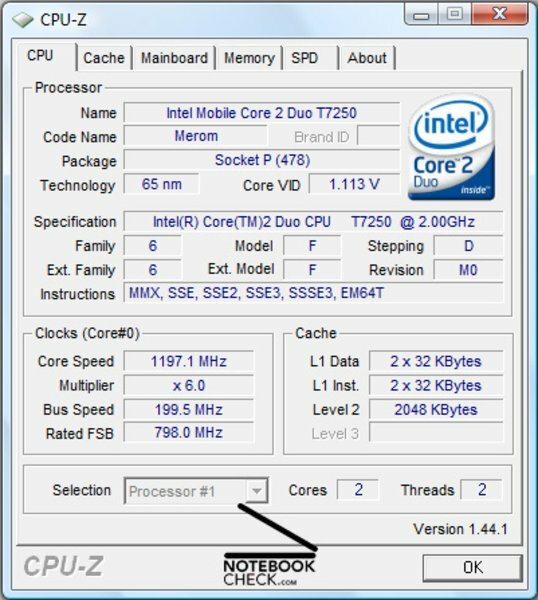 The Intel Core 2 Duo T7250 of our test sample can access two cores with 2GHz clock rate each and offers thus plenty of performance at any time. 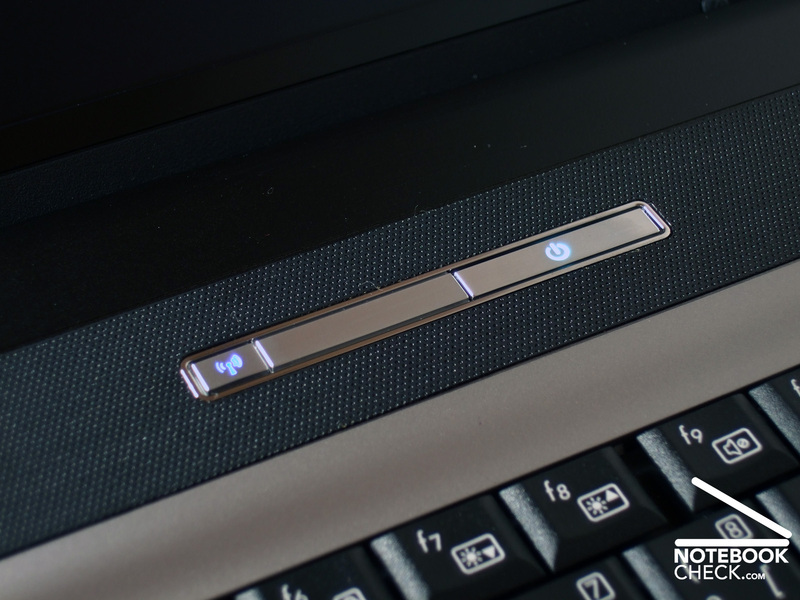 From web surfing to demanding video encoding tasks - the HP keeps up well even with more expensive notebooks regarding brute processor power. Current 3D games on the other hand, are a clear no-no for this office notebook. The integrated graphics chip turns modern games into slide shows - if it runs them at all. In comparison with the processor, the choice of the hard disk is poor. Although the Hitachi stores up to 160 GByte of data, it does this slower and noisier than it's competitors. As a result, it only manages to read 34.2 MByte/s with a 18.4ms access rate in the synthetic benchmark HDTune - really no high end values. 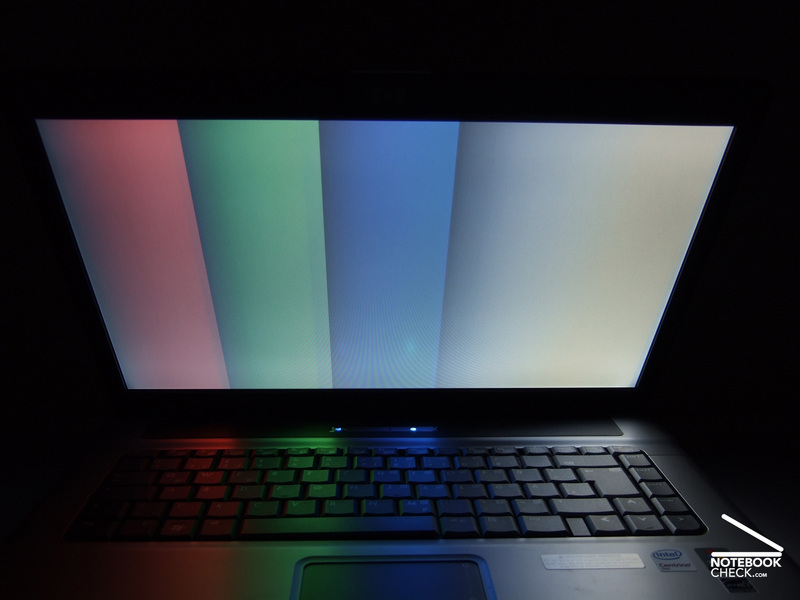 Because of this, the Vista notebook seems often to be slower and less responsive than other notebooks with similar hardware equipment. 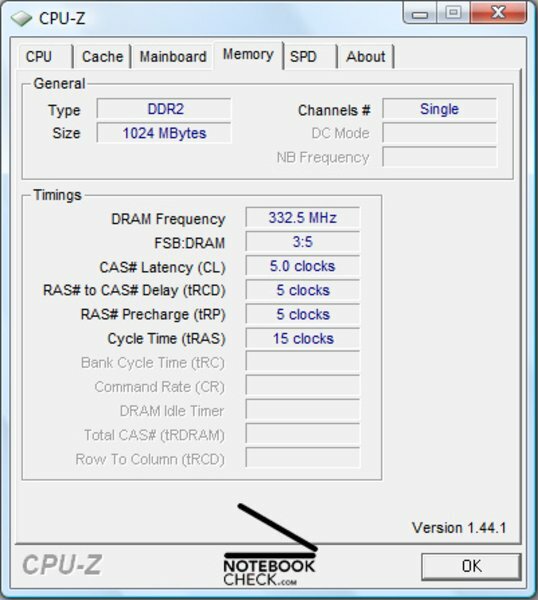 Our test sample has one gigabyte DDR2 system memory built-in. Although this is enough to work with Vista, experience has shown that an additional gigabyte significantly improves performance. 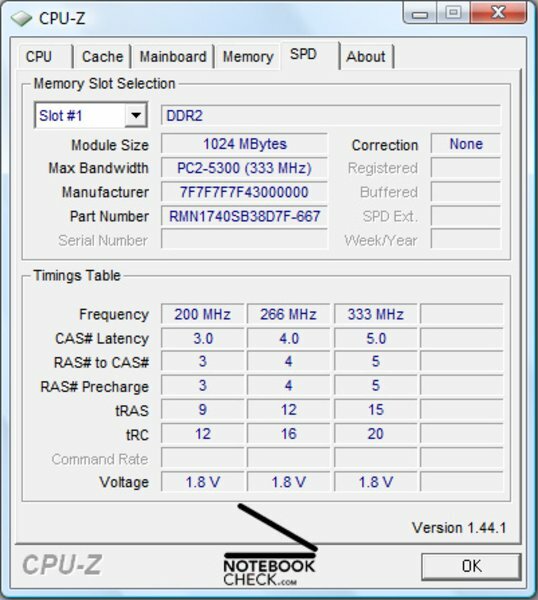 For this reason the shop delivered our test sample with another separate one gigabyte stick of RAM, which even inexperienced users can add within minutes, due to the maintenance slot on the bottom of the notebook. 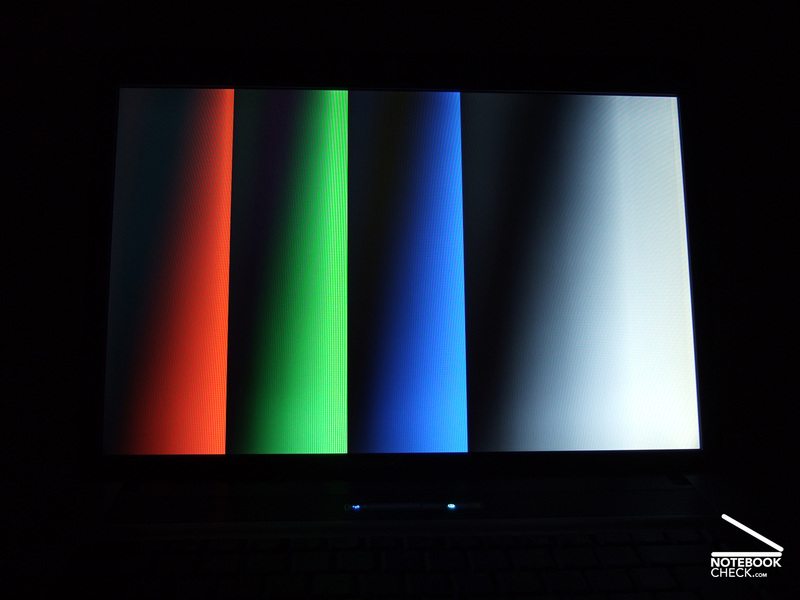 The HP Compaq 6720s turned out to be a quiet companion in our test. During undemanding writing tasks in office programs it is almost completely silent. Only the up to 36.2dB(A) loud access noise of the hard disk occasionally interrupts the quietness. Otherwise we measured 32.1dB(A) in low performance mode. Putting the processor under stress activates the system fan, which starts infrequently at first and then runs constantly. But the fan is so quiet that it is barely audible in a typical office environment or at low to medium load. It isonly noticeable in very quiet surroundings or close to the fan air holes. Maximum noise level on the other hand is with 42.1dB(A) rather loud, but can only be achieved if the notebook runs under full load for extended periods of time. The DVD drive made by Matshita apparently can't be bothered to follow the lead of the system fan and keep the noise down. Although the light scribe burner transfers data from discs to hard disk relatively quiet, the situation changes quickly if the drive head has to move a lot. The noise level goes up to 48.1dB(A) in this case - far too loud. While the test sample only moderately heats up during daily usage, it doesen't look as good in our temperature test. Reasons for this are the room temperature of 25.0 degrees Celsius when the test was taken and of course also the test conditions, which means running extended periods of time under maximum load . After an hour we measured temperatures per Infrared. The upper surface of the notebook below the keyboard was acceptable 35.6 degrees warm, but the bottom heated up to 52 degrees. It is thus not recommended to keep the notebook on your laps in summer while doing demanding tasks. (+) The maximum temperature on the upper side is 35.6 °C / 96 F, compared to the average of 33.9 °C / 93 F, ranging from 21.2 to 62.5 °C for the class Office. 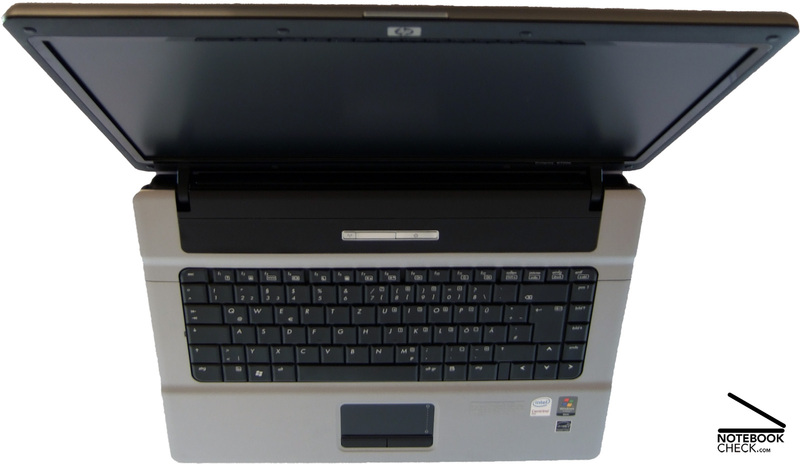 A single small mono speaker is responsible for the sound output of the HP Compaq 6720s. Although two stereo speakers would be far better, the sound is not too bad for a entry level notebook. Music is obviously not very natural, due to the lack of stereo sound, but the speaker is sufficient for Windows sounds and Skype calls. Sound output over the earphones port with high end earphones (Sennheiser HD650) is satisfactory. 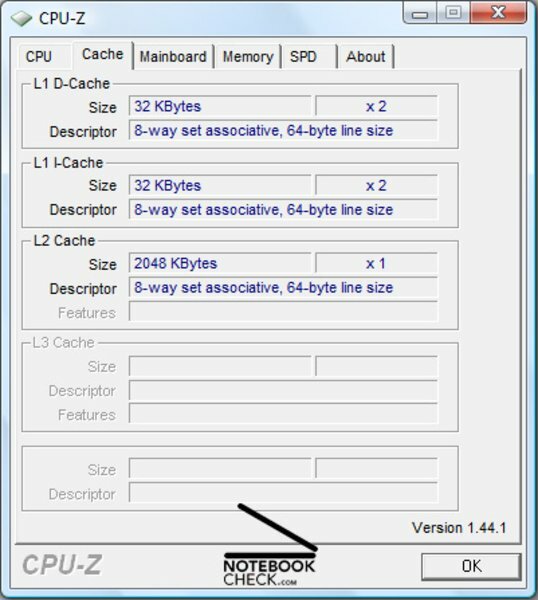 Differences to other notebooks disappear almost completely with more common earphones (Sennheiser PC-150). 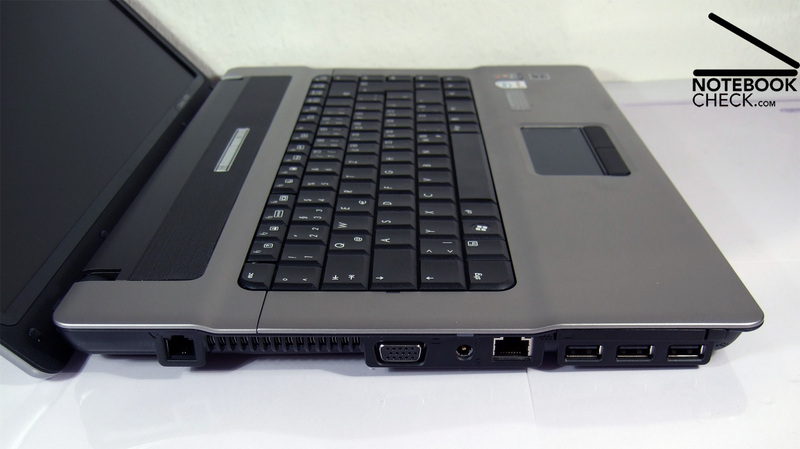 The battery life of the HP Compaq 6720s is acceptable in our test. Although the notebook only manages 70 minutes under full load with the Battery Eaters classic test, the 47 watt battery lasts for more than 5 hours in the undemanding idle mode test with minimum display brightness before running empty. This equates a power consumption of 9 watt. However, the same test with activated WLAN and maximum display brightness depletes the battery in about 150 minutes - power consumption: about 18 watt. 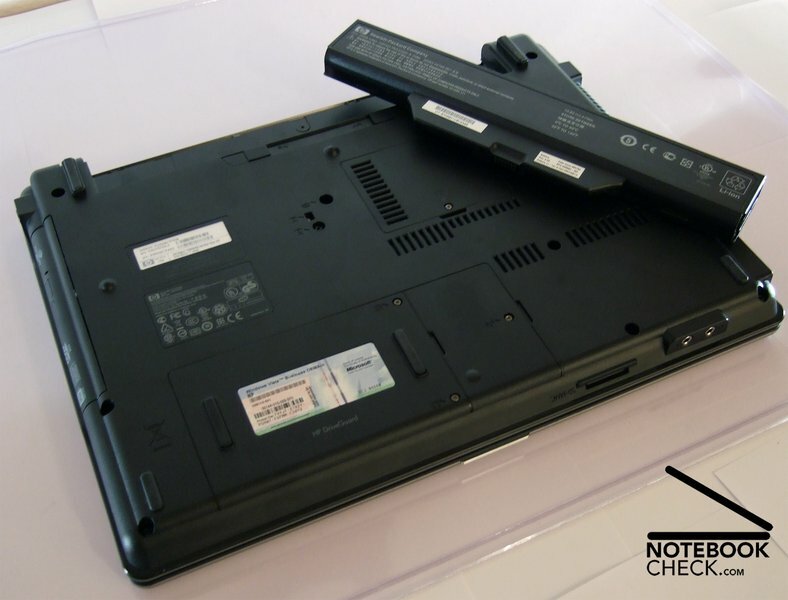 As opposed to most other HP Compaq notebooks, it is not possible to extend battery life of the 6720s with an additional battery , since the required interface on the back is missing. 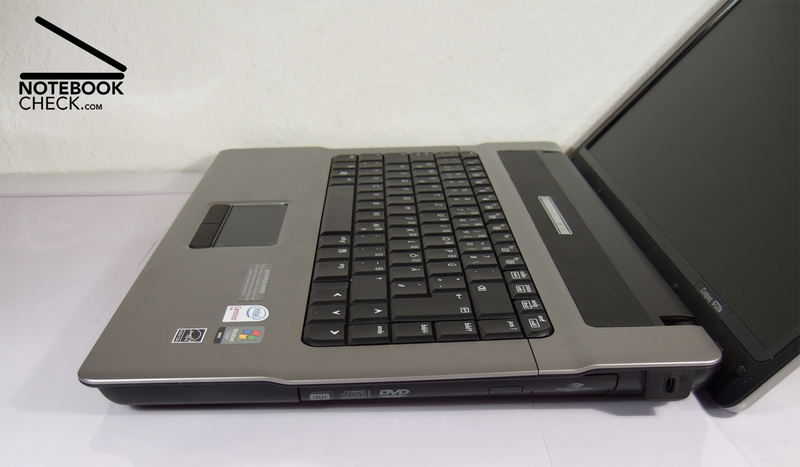 The HP Compaq 6720s marks an inexpensive entry into the notebook world. It's workmanship is solid and it has input devices that are pleasant to use. 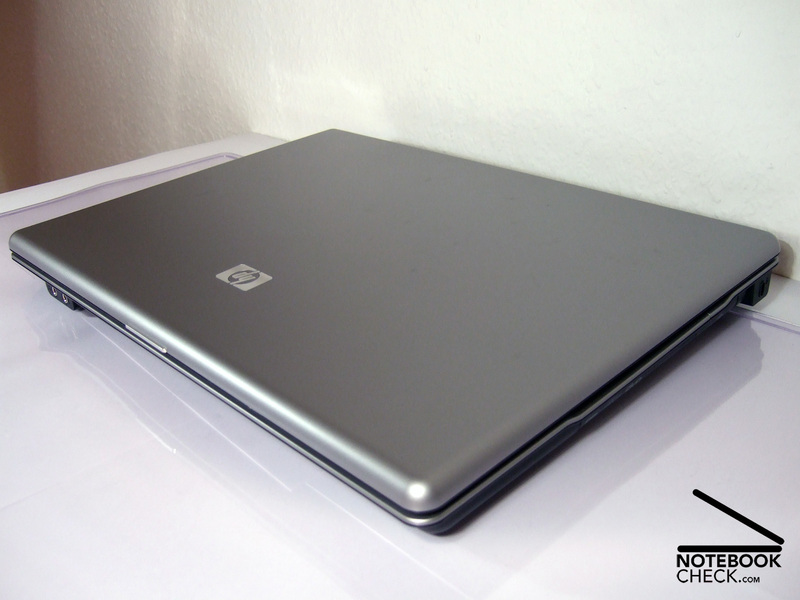 Furthermore, the 15.4" notebook stands out with it's relatively high performance while staying quiet. Due to Core 2 Duo processor and two gigabyte system memory it can keep up with the performance of current PC systems in most applications. Only for newer 3D games it's integrated graphics chip definitely doesen't have enough power. 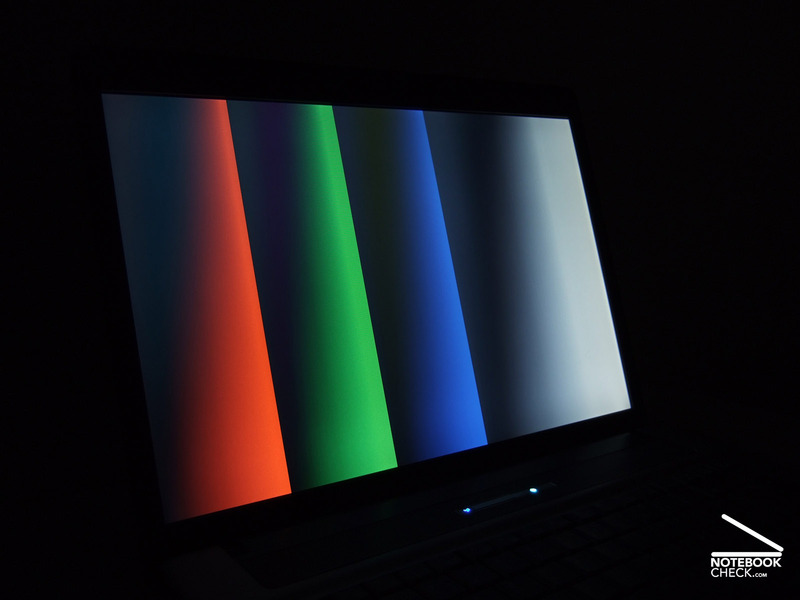 Positive is also the non-glare display. It's brightness, matte-finish, and subjectively homogeneous illumination turn the notebook into a good companion for long office sessions. It is also possible to work outdoors with the 6720s. The LCD manages a proper image as long as one avoids direct sunshine. But better bring a power cord along, or make sure a power jack is nearby, since the battery usually runs out in less than three hours. 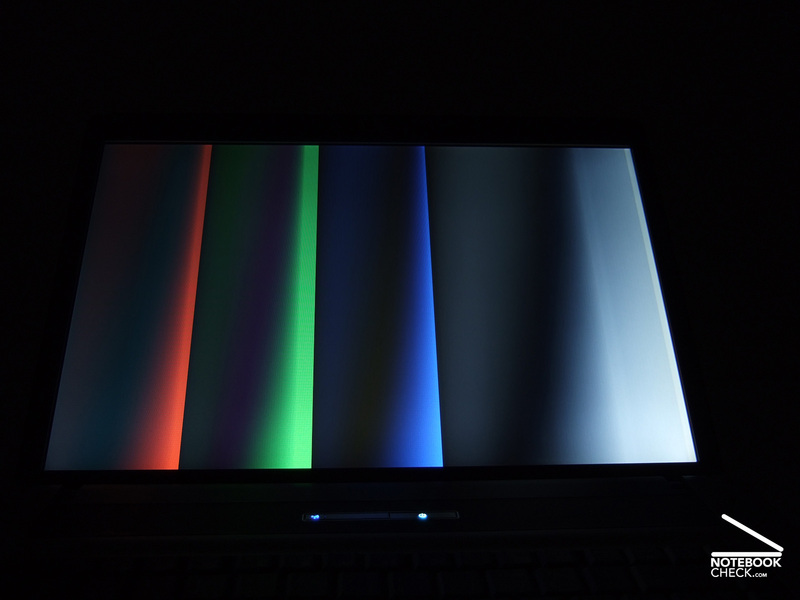 The HP notebook made in our tests only few blunders. Workmanship and material quality is satisfactory considering the price, but it would have been better if the IT company had saved a bit less on the equipment. The fact that the notebook contains only a small mono speaker in spite of the large speaker panel irritates as much as the very inconvenient interface alignment. We would like to thanks Misco Germany Inc. who kindly provided us with the test sample. You can also buy it there. The HP Compaq 6720s has an attractive case. A Hitachi hard disk with 160 GByte capacity is used as mass storage. Speed and loud noise make it quickly clear that it isn't the newest model anymore. ...which is supported by 2 GByte system memory in our case, but the user has to build in one of the modules by himself. This can also be said about the touch pad - after some driver adjustments. 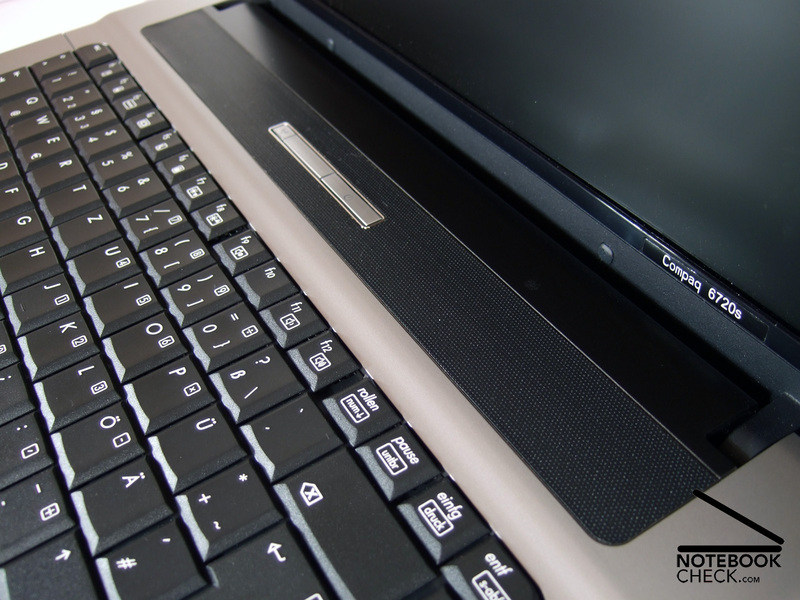 The keyboard of the HP Compaq 6720s doesen't need to fear any competition in it's price class. Typing is pleasant and the layout doesen't need any getting used to. Looks promising, but contains only a small mono speaker: The wide sound panel above the keyboard. ...while the left side is filled to the last inch with ports directly next to each other. Cable tangle and problems with big USB devices are inevitable. In the picture: on the left is the switch for the WLAN and Bluetooth, on the right is the illuminated power button. Despite new shape the HP Compaq 6720s sticks to it's business roots. Everything is where one expects it to be. 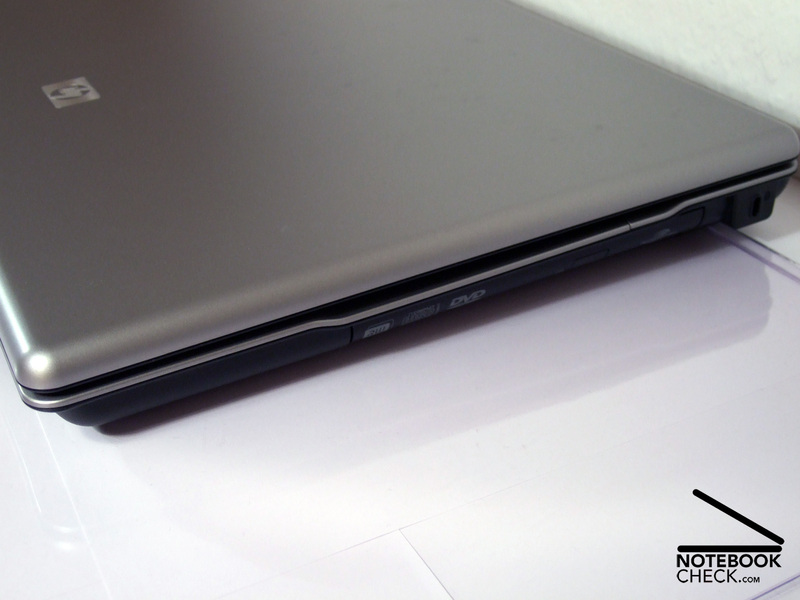 Workmanship of the HP notebook is good overall, but with some minor flaws. Useful: The display can be moved backwards more than 90 degrees. The batteries last for about three hours before running out.